The American Local History Network is a central point of entry to independent web sites with historical and/or genealogical content. This page is available for hosting. Please contact Debbie or Barb. 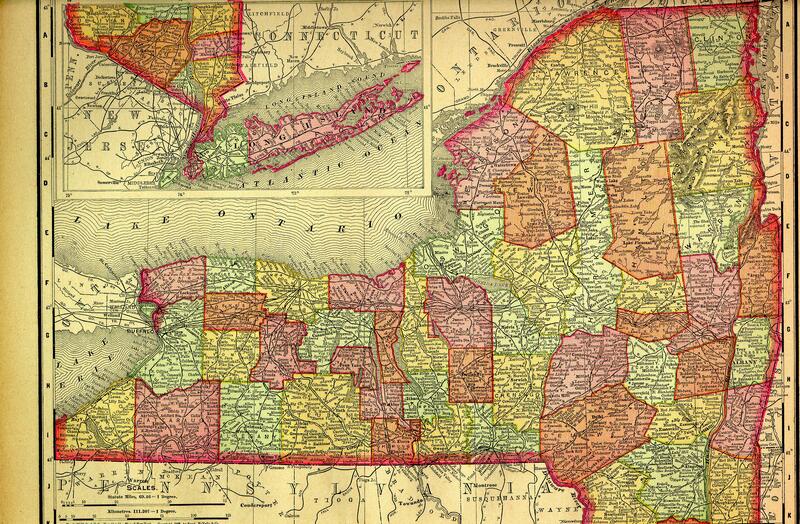 Lewis County, was taken from Oneida in 1805, and named in honor of Governor Morgan Lewis. Centrally distant NW. from New York 275, and from Albany 130 miles. Greatest length N. and S. 54; greatest breadth E. and W. 35 miles. The whole of this county was included in the patent from the state to Alexander Macomb, and was sold by him to William Constable, and by the latter in parcels: the portion ~vest of the Black river, to capitalists in New York city, among whom Nicholas Low, Richard Harrison, and Josiah Ogden Hoffman, were principal purchasers; and the portion on the east of the Black river, to a French company in Paris. From these sources the present possessors derived their title. The first settlements commenced here in 1795, by pioneers from Massachusetts and Connecticut, who, with characteristic enterprise and perseverance, entered the wilderness with a determination to surmount the most formidable obstacles. There were at this time small settlements at Utica and Fort Stanwix, (now Rome,) whence the settlers made their way into this county, by a line of marked trees, to the High Falls, on Black river; and thence floated with the stream to the town of Lowville, where they established themselves. Their families followed in the succeeding winter, shod with snow shoes; mothers making their way with infants in their arms, whilst their husbands and fathers trod paths through the snow for their cattle and teams. It was not unusual, some time after, for farmers to go forty miles to mill, and to carry the grist upon their shoulders. Lewis Query/Surname and Biography/Obit. Boards. Please feel free to post your queries regarding NY to these boards. You are the 15701st Visitor to this USGenNet Safe-Site� Since July 20, 2000.